Driving a Revo Stage 1 Fiesta ST really puts a smile on your face, this is driving enjoyment at its best. A true hot hatch. 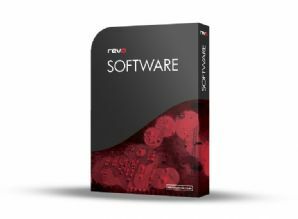 With over twelve months of pre release development including over 1000miles on the track and over 12000miles of testing across various regions on a number of vehicles, Revo software gives smooth and progressive power delivery; this car eats the road up in a way you wouldn’t expect yet is just as comfortable popping to the shops and driving around town. Peak performance increases don’t tell the full story, the power and torque improvements under the curve are significant, drivability is improved… this is the ST Ford should have released. The optimum setting to use in good climatic conditions with higher octane/super unleaded fuel. Giving huge increases in both power and torque over standard and the 91oct/95ron performance mode. Anti-Theft security mode allows the vehicle to be disabled. note: Revo recommend all vehicles to be datalogged under full load conditions to ensure the settings are correct for the car/fuel/conditions.